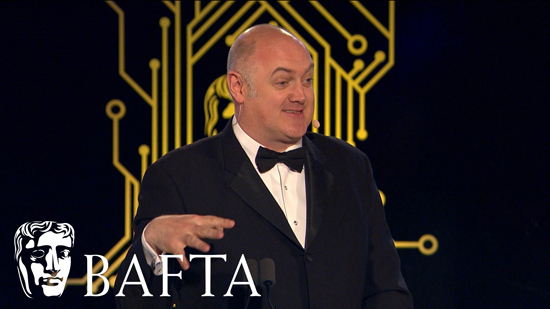 BAFTA has announced today that Dara O’Briain will return to host the British Academy Games Awards on Thursday 12 April 2018. It will be the comedian’s eighth time hosting the ceremony that celebrates the very best in games of the past year. For the first time, the British Academy Games Awards will be streamed live on all major platforms including BAFTA’s Twitch, Twitter (@BAFTAGames), YouTube, Facebook and Mixer. Through a new partnership with IGN, the awards will also be streamed to an additional 12 platforms including PlutoTV, Amazon Fire, AppleTV, Roku, PS4, Xbox, Mixer, Twitter and Facebook. As previously announced, a new category has been introduced for 2018: Game Beyond Entertainment, which recognises games that deliver a transformational experience beyond pure entertainment. Taking place at Troxy, London, the awards welcome the very best practitioners in the world who gather to celebrate another outstanding year in games and network with colleagues from across the industry. The awards will be preceded by a Champagne Taittinger reception and followed by a seated dinner and after-party for guests. Priority tickets to the awards are now available for BAFTA members. All other tickets go on sale next Thursday 15 March, the day of the nominations announcement. The British Academy Games Awards is part of the London Games Festival, which runs from 5 April to 15 April covering 40 events across the capital. London Games Festival is delivered by Games London, a project jointly run by Film London and Ukie and funded by the Mayor of London via the London Enterprise Action Panel. The Awards are supported by industry partners Activision Blizzard, Electronic Arts, GAME, SEGA Europe Ltd., PlayFusion, Tencent, Ubisoft Entertainment with ME London Hotel the official hotel partner. Guests attending BAFTA’s awards ceremonies support the organisation’s charitable work and initiatives that identify, support and nurture new talent in this thriving sector. Applications are now being taken for games membership of BAFTA at membership.bafta.org.